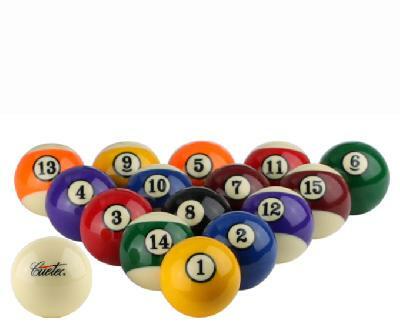 The Official Cuetec Pool Balls have a classic design that is beautiful and traditional. Cuetec Pool Balls are standard 2 1/4 balls. They are made with "Top Grade A" polyester and come with a lifetime warranty.